My grandsons are gonna love it. It has there name on it. These wallets were purchased for my grandchildren. They love that they have their own to put money into. They also like the personalization with their names on them. They all have unique names and cannot just go to a box store to find their names. Wonderful product! 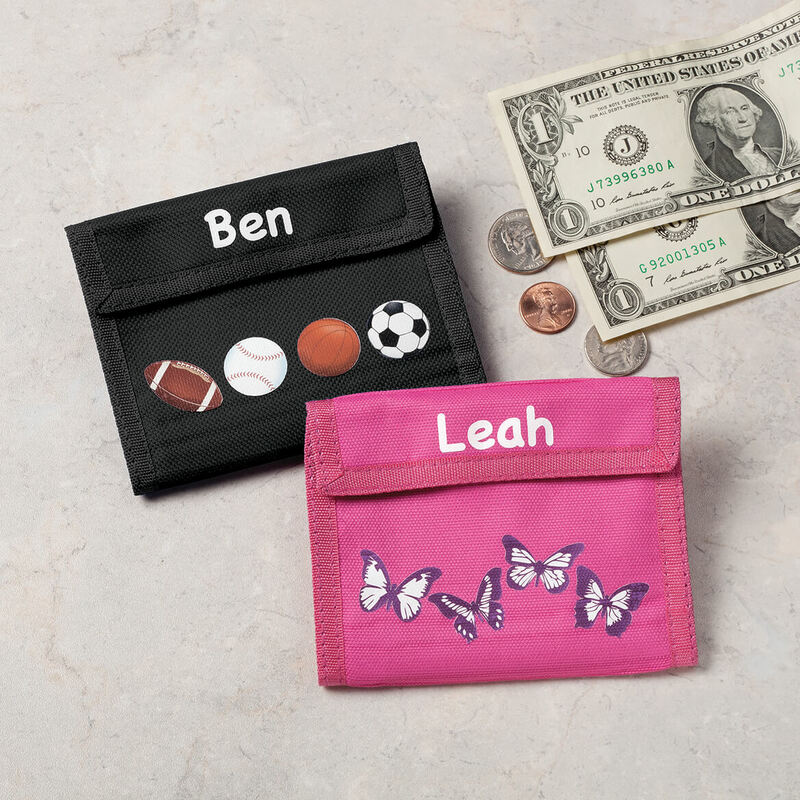 These children's wallets are adorable. 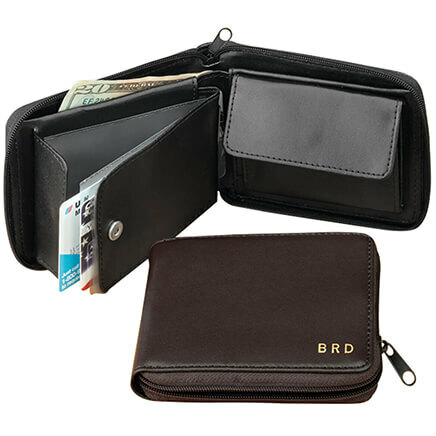 Each grandchild will get their own wallet and with the names, everyone will know which one belongs to each child. I ordered these for my grandchildren and I know they will love them. I am always happy with anything I buy from Miles Kimball. I am a frequent customer. I purchased this wallet for my Grandson who has just learned to spell his name. I think he will like seeing his name it. The lettering came out very clear and neat. 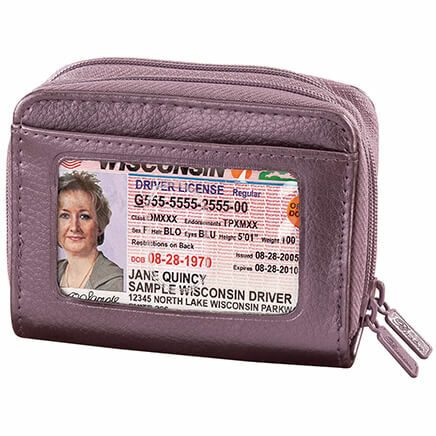 My granddaughter loves this wallet with her name on it! I put money in it, too, and she was so thrilled. Before the kids were putting their loose money in their clothes pockets and forgetting about it and it would go through the wash/dry cycle! Now with their names personalized there's no money being confused whose is whose and Mom catches it before they go through the wash/dry cycle! Nice size for children!s hands. The coin case is a plus. Very cute! This canvas wallet with my granddaughter's name personalized on it was a delight for her, and for me to see how thrilled she was to get it! I made it extra special by slipping some money in it and she loved that, too! A great gift for my grandson. It is what I expected...awesome product! Awesome product the kids love it! Christmas gift to grandaughter. She liked the color and her name being on it. I bought the pink one for my niece for her first wallet. Price was right for her to get used to counting and playing with money to understand the value of items. The letters of name does not hold up. 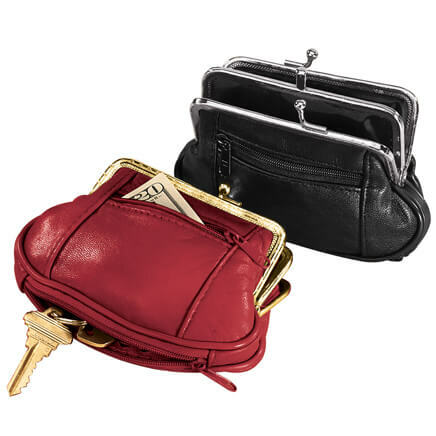 I bought one for a gift at Christmas & the nylon zipper separated as they sometimes do so no coins could be carried anymore. Decided to get another for Easter since my grandson was disappointed the first one broke. Wanted some sort of adjustment since the first broke so quickly but was told it was too late for that, over 40 days, I think. Will not purchase another from here even if this one breaks. I was disappointed. These are way overpriced for the quality. For my 9 year old granddaughter. I am hoping this grand child will use this wallet when she needs money for supplies at school. 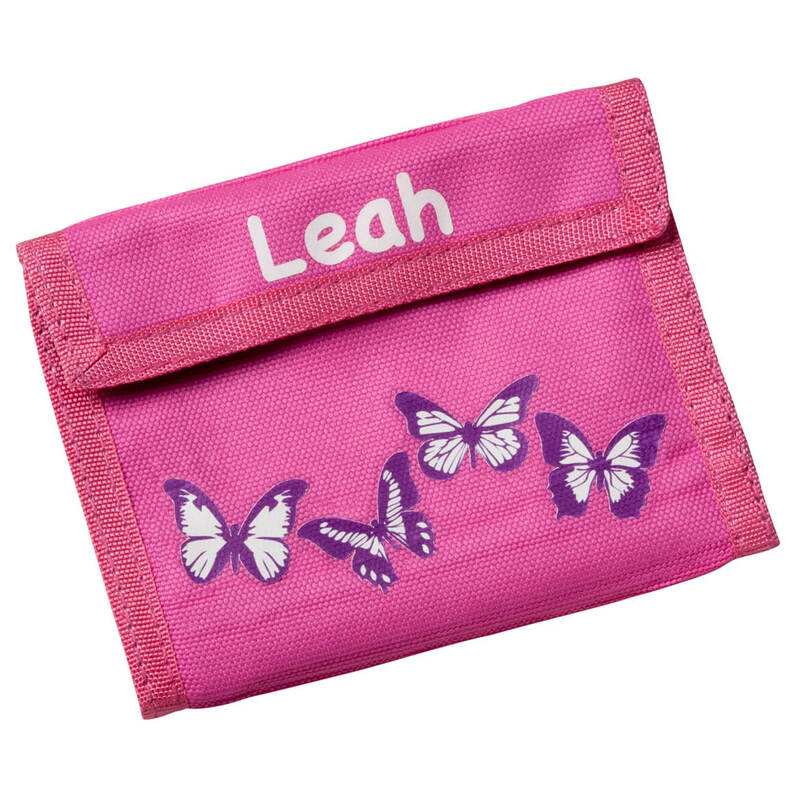 Having personalized wallets lets children be proud to pull out their wallets to make purchases. for my twin granddaughters 12th birthday! I love the sports theme AND that you could the name on it! My grandsons are 5 & 6. They want to be like their father and have a wallet. I thought my great niece and her friend would love these. I plan to give them some money too for Christmas. I believe that my great nieces will enjoy these. I will add a $10.00 bill inside. For my grandson's 7th birthday. 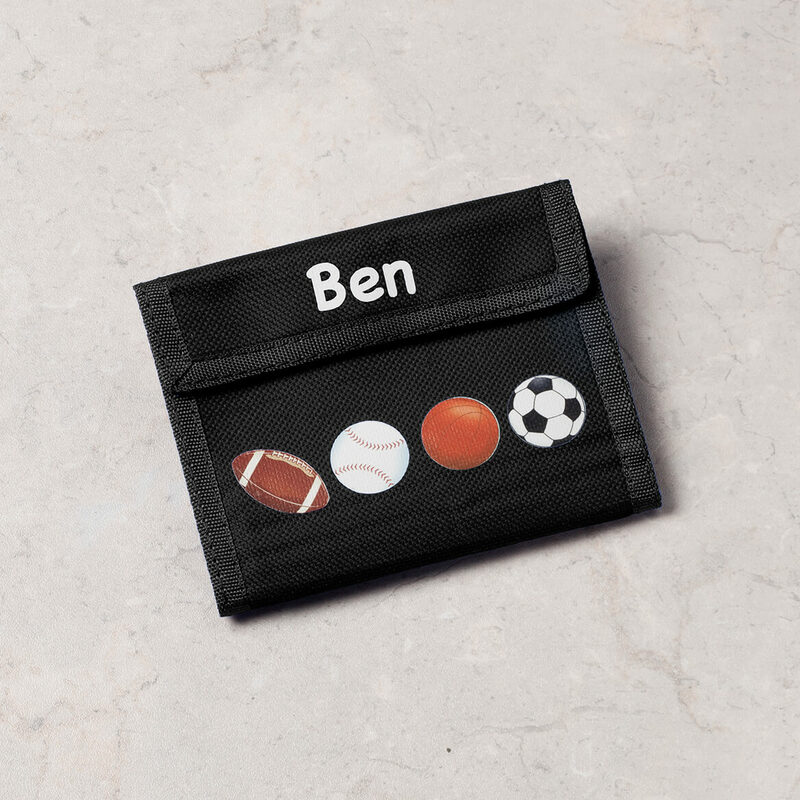 I was looking for a personalized wallet for a child. I would have helped if there was a picture of the wallet opened. I had to buy it without really knowing what the inside of the wallet looked like. For twins, a boy & girl, who are old enough to learn about money. For my 10 year old Granddaughter. Granddaughters wanted them to put "all" their money in! I chose this for my son so he could have a place to keep his spending money without mixing with his savings. I gave these to my nieces and nephews and they loved them! My granddaughter will love this personalized item since she has an unusual name and spelling so it's impossible to find anything with her name on it. I chose this for my 8 year old Granddaughter. She loves "pink" colors for many of her clothing and she also "loves" receiving for Christmas. Is there zipper for coins? Ohio and I didn't get to see them when they were opened. No. There is a Velcro type closure. Are there slots in the wallet? Can you fit a gift card in the slot, if there is one? I bought a children's wallet from another vendor and there was no room in the slots to fit any sort of card. BEST ANSWER: Thank you for your question. 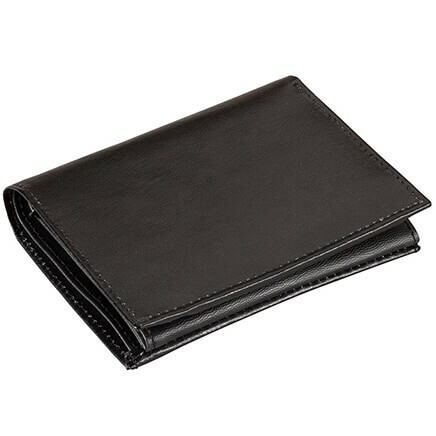 The wallet has an area for dollar bills, a zippered compartment for coins and two slots for library cards, student ids or gift cards. We hope this information will be of help to you. Does this have a place for coins? BEST ANSWER: Thank you for your question. 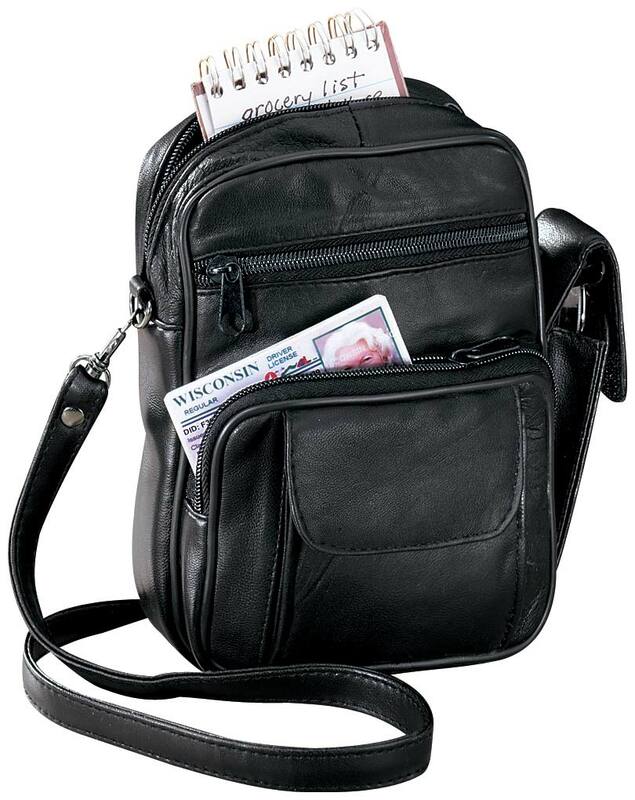 There is a zippered compartment inside that could be used for coins. We hope this information will be of help to you.